Holy Wow! 2015 is over! The last 365 Days have gone by faster than…well let’s just say they have flown by. So, Happy New Year Everyone!! I am excited for 2016 and all the possibilities it will bring. Yes, I said that exact thing about 2015, and 2014 before that, and really I have been thrilled and excited for New Year possibilities going all the way back to 2002! 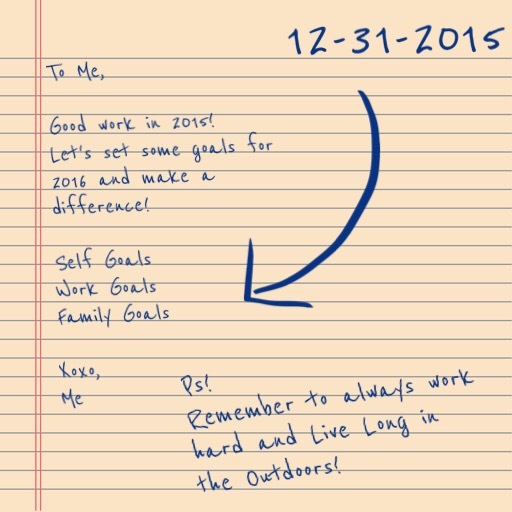 That is the year I started to set goals and write them down in an annual letter to myself. I love to reflect on these letters and just smile at the person I was when jotting down my aspirations during that particular moment in time. I have laughed at myself, felt sorry for myself, and even rolled my eyes a time or two when reading these old archives, but I have always been pretty proud of myself and the things that I have managed to accomplish over the years. Goal setting is a big thing to me. I really think everyone should sit down and make a plan for themselves and do what they can to make it happen! I am not the type of blogger to post a how to guide to goal setting here. Not to mention, I really think that this goal setting thing is very personal. Everyone will go about it differently. For myself, I try to keep my goals simple and somewhat attainable. They are more like reminders than an actual check list. Last year my big goal was to start this blog. This year I won’t have to change that goal too much. This blog is important to me. I still haven’t written my “about page”, but the mission of this blog is real and I can only hope that my message will continue to inspire others to get outside to enjoy nature and take their families with them! Even if it’s just one person that I encourage to do so, I feel this blog is worth the time and effort. 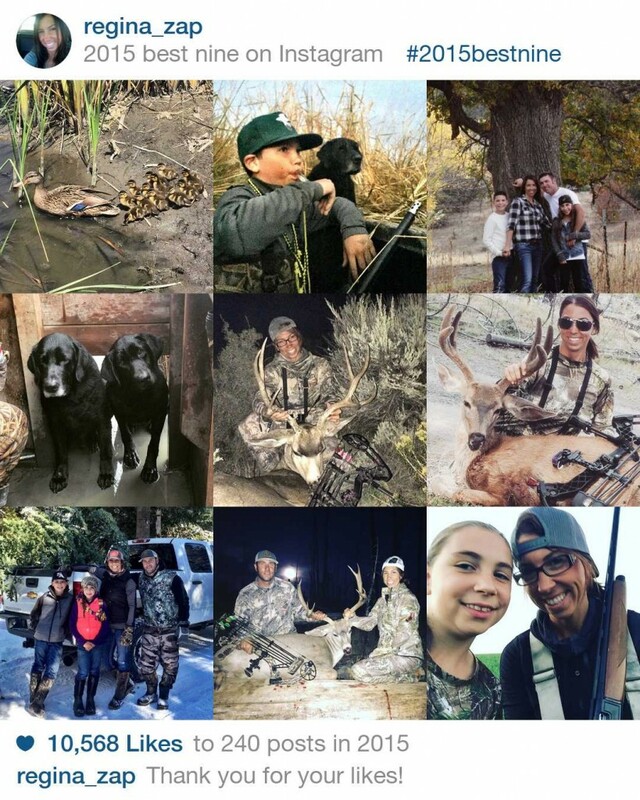 I will do my best to attempt a weekly post and also continue to share these topics on my weekly segment on the California Sportsmen Radio Show. I believe that hunting, fishing and the outdoor lifestyle is meant for everyone in a small way or another and I hope to do what I can to convince as many people as possible to Live Long in the Outdoors. I have to take a second to thank Sep and Marilyn Hendrickson and the whole crew at California Sportsmen Radio for believing in me and maybe even twisting my arm at times to continue on this mission. It’s not always easy and I don’t always have the time or drive in me, but they have always pushed me and I appreciate them for that! My segment sponsors, Pat and the team at Kittle’s Outdoor in Colusa and Travis and gang at Guns, Fishing & Other Stuff in Vacaville, a whole hearted THANK YOU for knowing the importance of women and families in the outdoors and helping me to spread the message every Saturday morning! We made a ton of memories outdoors as a family in 2015 and I am looking forward to more days in nature in 2016! I loved this Best Nine on Instagram I did today! Sums up our year perfectly!! You can make one of your own by clicking here! I wish all of you a very Happy New Year and would love to hear some of your goals if you feel like sharing! Remember to cherish every moment and count your blessings along the way and thank you all for being such awesomely loyal followers!